The establishment of a regional centre for renewable energy in southern Africa is expected to go a long way in ensuring the harmonisation of standards in a region inundated with an influx of various solar products and technologies. 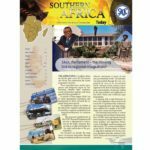 This was one of the main sentiments expressed during the official launch of the Southern African Development Community (SADC) Centre for Renewable Energy and Energy Efficiency (SACREEE) in Windhoek, Namibia on 24 October. The majority of speakers during the ceremony said SACREEE should act as a “clearing house” for setting standards in the SADC renewable energy sector. Players in the sector are presently allowed to import any renewable energy products and technologies without adhering to any set standards. According to Botswana Minister of Mineral Resources, Green Technology and Energy Security, Eric Molale, this has seen the region importing products and technologies that were not made for local conditions. He narrated an incident in which one of his officials purchased solar panels from a Botswana distributor but the products melted within days because they were not made for local conditions. “SACREEE should, therefore, be our standard setter to ensure that the technologies we are importing is suitable for our climatic conditions,” Molale said. Namibian Minister of Mines and Energy, Tom Alweendo said in addition to being a clearing house for standards in the sector, the establishment of SACREEE comes at a time when the global renewable energy landscape is fast-changing in terms of the development of new technologies. “Renewable energy technologies are fast-changing and we need to be able to move with the changes. We believe SACREEE could assist us in this regard,” Alweendo said. SACREEE would, among other things, spearhead the promotion of renewable energy development in the region. It is expected to contribute substantially to the development of thriving regional renewable energy and energy efficiency markets through knowledge sharing and technical advice in the areas of policy and regulation, technology cooperation, capacity development, as well as investment promotion. It has been agreed that the centre should be an independent SADC institution that should be owned and supported by member states for sustainability purposes. Such a development would give the centre more authority to spearhead efforts to increase the uptake of renewable energy sources in the region. 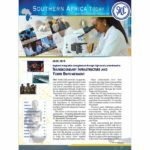 SADC is working closely with the United Nations Industrial Development Organisation (UNIDO) and the Austrian Development Agency (ADA) to accelerate implementation. ADA Managing Director, Martin Ledolter said SACREEE would assist SADC to meet Sustainable Development Goal 7 on universal access to sustainable energy services by 2030. “Our partnership with UNIDO in the global network of sustainable energy centres – of which SACREEE is a member – is a significant example of how we are synergising global efforts so as to make SDG7 a reality for all,” Ledolter said. “The ongoing initiatives at national level that are stimulated through regional commitment resulted in increase of weighted average on access to electricity from 36 percent in June 2013 to 48 percent observed in June 2018,” Dr Tax said in a speech read on her behalf by Dr Domingos Gove, director of Food, Agriculture and Natural Resources at the SADC Secretariat. ADA supports seven renewable energy centres around the world. The first regional centre for renewable energy and energy efficiency opened in 2010 in West Africa. 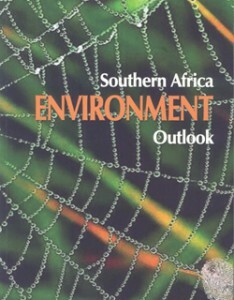 Five others have been established in East Africa, southern Africa, the Caribbean, the Pacific region and Central America. Another centre in the Himalayas is currently in the planning stage. The official launch of SACREEE is part of the First Operational Phase of the centre during which it has primarily focused on developing renewable energy programmes for the region and resource mobilisation. Initially set to run from 2014-2017, the phase delayed completion by a year. The Second Operational Phase, from 2018-2021, will focus on activities to ensure sustainability of the centre after the exit of international cooperating partners. According to the African Development Bank, southern Africa has the potential to become a “gold mine” for renewable energy due to the abundant solar and wind resources that are now hugely sought after by international investors in their quest for clean energy. For example, the overall hydropower potential in SADC is estimated at about 1,080 terawatt hours per year (TWh/year) but capacity being utilised at present is just under 31 TWh/year. A terawatt is equal to one million megawatts. 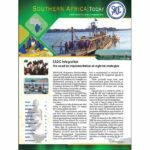 The SADC region is also hugely endowed with watercourses such as the Congo and Zambezi, with the Inga Dam situated on the Congo River having the potential to produce about 40,000 megawatts (MW) of electricity, according to the Southern African Power Pool. With regard to geothermal, the United Nations Environment and the Global Environment Facility estimate that about 4,000 MW of electricity is available along the Rift Valley in Tanzania, Malawi and Mozambique.